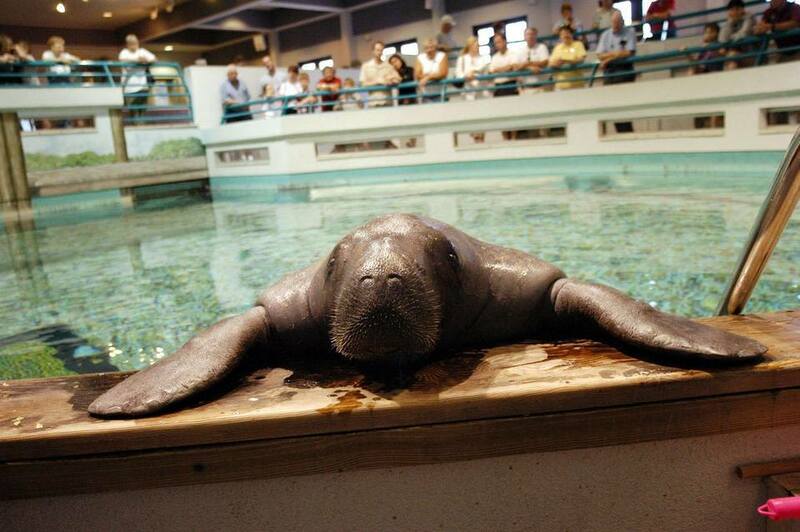 In honor of the 68th birthday of Snooty, the world’s oldest manatee, the South Florida Museum is holding a birthday party from 10 a.m.-2 p.m. on Saturday, July 23. The event will be held in the Museum’s Spanish Plaza, the north parking lot, and in front of the Museum on 10th Street W. in Bradenton. The party, sponsored by Mosaic at the Museum, will feature games and activities for all ages and will raise awareness about endangered manatees and other wildlife species. Admission for all outdoor activities will be free and entry inside the museum will be offered at a reduced price: $9 for adults, $8 for seniors (65+), $7 for children ages 4-12, and free for both children under 3 and museum members. Snooty, who has been cared for by the South Florida Museum since he arrived in Manatee County in 1949, has greeted more than two million visitors in his lifetime and is the official mascot of Manatee county. Snooty has helped foster 28 sick and injured manatees to be safely returned to the wild in addition to being a major source of new information on his species.